Premium Beautiful nie unique for everybody. Setiap orang mempunyai size yang nyer sendiri. So, how do your measure your size? Well, ader 4 measurements that you have to measure. And bear in your mind, measurement mesti kena dalam cm / sentimeter. First of all, measure your bust (dada / puncak). 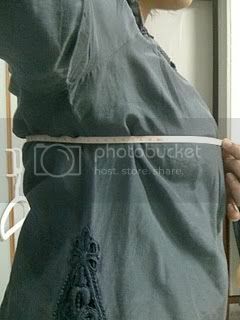 Then, measure you underbust (bawah dada). 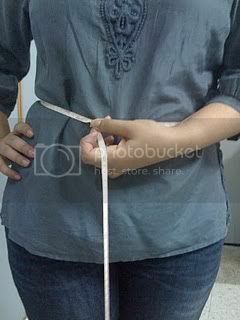 Third, measure your waist (pinggang). Lastly, measure your buttock (punggung). 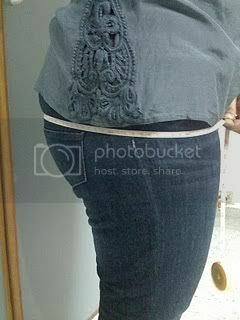 Provide all of the measurements to me, and I'll convert them to your Premium Beautiful nyer size...:) As simple as that. As usual, I do accept full payment of cash, credit card or installment. Whichever that suits you.